Authorities say that the child may be in the company of Daniel Lopez-Andino. He is the non-custodial parent. He abducted the child after a strong-armed robbery of the child’s mother. They were last seen the area of East Marginal Way and Boeing Access [map]. Daniel is diagnosed as bipolar and is off medication. They may be traveling in a 2003 Silver/Aluminum BMW 325I vehicle, with license plate: WA #701ZNB. If you have any information on the whereabouts of this child, please contact 206-583-2111 immediately. 911 would work too. Full description information is on this page. King County Deputies responded to a double shooting last night at an apartment complex located at 12445 Ambaum Blvd SW [map]. When deputies arrived at 9.30 PM they found a juvenile male and a juvenile female both suffering gunshot wounds. The female later died from her wounds and the male is being treated in hospital for what appears to be a serious but non life threatening gunshot wound. At this time detectives are continuing their enquiries. The preliminary investigation indicates the juvenile male shot the female and likely shot himself; however, detectives have not had the opportunity to interview him. He is under police guard at hospital while the investigation continues. This also is being covered by our partners at the Seattle Times, who reported the victims’ ages. Don’t let the cold weather and holiday lights fool you, WSDOT crews are still hard at work in December. 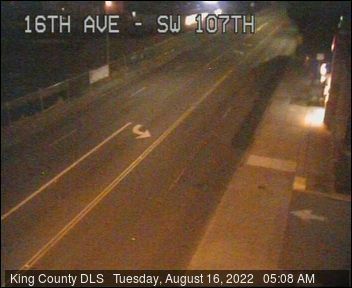 For the next two Saturday nights crews will close six miles of northbound Interstate 5 through south Seattle to install 15 overhead sign bridges. The new sign bridges will hold overhead electronic signs alerting drivers to reduce their speed or change lanes when there are collisions or backups on the road. The new signs are the latest smarter highway technology aimed at increasing safety and reducing collisions. The $23.8 million project is funded by the Alaskan Way Viaduct program to help keep traffic moving during viaduct demolition and construction. Crews will close all lanes of northbound I-5 from 11:30 p.m. Saturday, Dec. 5, to 8 a.m. Sunday, Dec. 6, between Boeing Access Road and Spokane Street. I-5 on-ramps in the area will start closing as early as 9 p.m. Crews will again close all lanes of northbound I-5 from 11:30 p.m. Dec. 12 to 8 a.m. Dec. 13 between Boeing Access Road and I-90. A signed detour will direct drivers to exit at Martin Luther King Way (exit 157) to Airport Way and back onto I-5 via Edgar Martinez Way/SR 519. Drivers should consider taking alternate routes like I-405 or SR 99 to avoid long delays and backups. 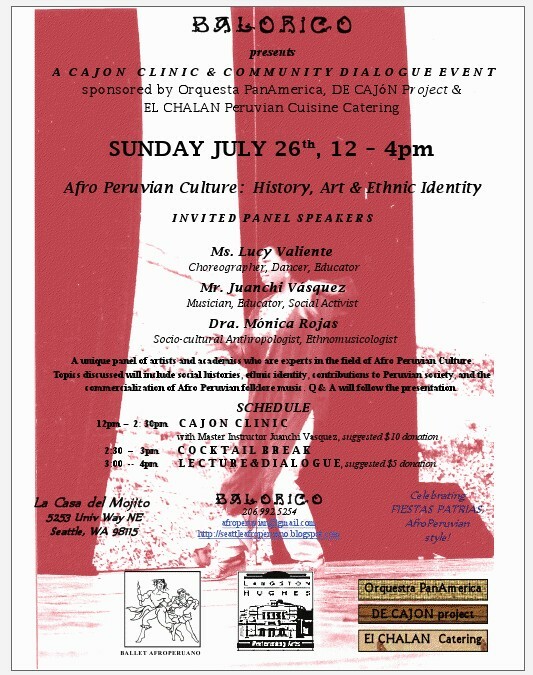 Not exactly White Center, but folks might be interested in attending this wonderful event. Ok, so I have been a bit deliquent on my lunch reviews as of late. To be honest, I have not been eatin lunch out much. I get a bahn mi from next door, or eat the pizza, that we are now serving. This past Monday I got out of the shop though. I went down to Han’s in Burien. Yeah, not White Center, but it isn’t that far, and for you folks in West Seattle, really, Burien is not that far, and if you have never been to Han’s it is worth the trip. Han’s is a deli, the way delis are supposed to be. The have a big case, full of cured meats, wursts, potato salads, and krauts. One wall is devoted to breads, the other to beer. Right in the middle is the dry goods. Spices and canned foods. Candies and chocolates. Even newspapers from the mother land. When you go here though, your focus should first be on that meat case. Most everything is made in house. I asked the woman how long they had been there, and she told me in a thick German accent, “We are new. Only about 35 years.” Yeah, 35 years, and you have never heard of this place. I have now been in there a few times, and I have to say their sandwhiches, though small, are perfect. Try the Lachsschinken, a smoked ham that seems to be fat free, and full of wonderful smokeyness, or one of the many braunsweiger, or liver wurst. I am not a fan of liver, or pates of any kind but I am a sucker for braunsweiger. My Irish grandfather used to eat the stuff for lunch every day, and he would share chunks of it with his hounds. At Han’s, 4.50 gets you a sandwich with thick slices of braunsweiger, mayo, mustard, German pickles, and Havarti cheese. Try a few things in the case. Make sure you get a side of the German potato salad, and a little bit of the kraut. Skip the mustard/ American version of the potato salad. You can get that at Safeway. The ladies working here are friendly, patient and helpful. They might make fun of you, but only in the most loving way. After you pick out your sandwich and cured meats, make a left and head over to the beer wall. If you are truly going to have a German lunch, you have to have a beer with that. I counted 43 different beers the last time I was there. Most are German, but there are a few from the newly opened Eastern Bloc. After you have picked out your beer, turn around and pick up a jar of pickles. The have quite a variety. Salt pickles, dills, German style, garlic. It will take me a year to work through the pickle aisle. Now head back to the register to pay and pick up your deli items. This is the time to pick out some chocolate. The have a huge variety of European chocolate, but even though I prefer a dark chocolate, I always end up getting the Kinder Egg. If you have never experienced one of these, think of a Cadbury egg, but instead of sugar goo, the are stuffed with a small choking hazard toy of some sort. Inside Tacoma’s Northwest Detention Center from Jessica Partnow on Vimeo.